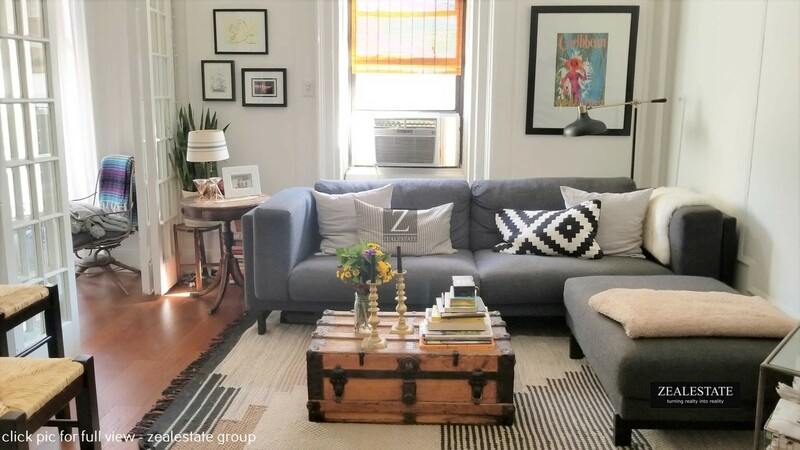 According to rental site Zumper, median rents for a 1-bedroom in Park Slope are hovering around $2,400 (compared to a $2,899 average for New York City). But how does the low-end pricing on a Park Slope rental look these days--and what might you get for the price? First up, this 400-square-foot studio apartment, located at 44 Saint Johns Pl., is listed for $1,769 / month, 29 percent less than the $2,491 / month median rent for a studio in Park Slope. The unit features high ceilings, bay windows, ample natural light and a kitchenette. Cats are welcome. Next, here's a studio apartment at 430 Sixth Ave., which is going for $1,900 / month. In the unit, tenants can expect to find high ceilings, hardwood floors, a kitchenette, wooden cabinets and a loft area. Pets are not welcome. Then there's this 550-square-foot studio apartment at 208 Berkeley Pl., listed at $1,950 / month. In the unit, look for hardwood floors, ample closet space, plenty of natural light and a separate kitchen. Building amenities include an elevator, bike storage and on-site laundry. Pet lovers are in luck: cats and dogs are welcome. Listed at $1,972 / month, this studio apartment is located at 372 2nd St. In the unit, you'll find high ceilings, hardwood floors, stainless steel appliances, large windows and ample natural light. Animals are not allowed. Over at 138 Sixth Ave., there's this 1-bedroom, 1-bathroom apartment, going for $2,000 / month. The unit includes central heating, hardwood flooring, high ceilings, large windows and plenty of natural light. Pets are not welcome. Also listed at $2,000 / month, this 600-square-foot 1-bedroom, 1-bathroom apartment is located at 426 Bergen St. In the unit, expect high ceilings, hardwood floors, stainless steel appliances, granite countertops, large windows and a ceiling fan. Luckily for pet owners, both dogs and cats are allowed. To round things out, there's this 1-bedroom, 1-bathroom apartment at 208 Saint Johns Pl., listed for $2,000 / month. Tenants will find this unit includes hardwood floors, plenty of windows and ample closet space. Small pets are allowed.